New FIU baseball coach, Mervyl Melendez has, apparently, behind the scenes done a terrific job of recruiting talent for FIU for this and next season. Not only has he brought in commitments from his previous school of Alabama State, but some others as well. For the Class of 2017 (seniors to be in high school this coming year) first off switching his commitment to FIU was his son and 1st Team pre season All American catcher Mervyl "MJ" Melendez, while also tabbing an even-higher ranked 1st season All American in OF Oraj Anu. He also tabbed High Honorable Mention All American in Abdiel Layer, a SS from Puerto Rico who is ranked among the top players in the island. More impressively, today Logan Allen a 6-0/170 LHP from Deltona, Florida, committed to FIU. Allen is a 2nd Team All American for this coming season, making it the 4 recruits committed so far to Melendez are high school All Americans. Allen was picked for the second year in a row as the Daytona Beach News Journal's player of the year. As a sophomore and junior. He had a 0.12 ERA with 107 strikeouts in only 58 innings pitched. Nice start. As for the Class of 2016 for this coming season, several players, most recently and notably Garrett Cave, have left the team. In their places, several new recruits have been signed by Melendez: The latest one to sign with FIU is RHP Tyler Myrick from Lake City, FL. Perfect Game ranks Myrick as the state's #34 overall player and #11 RHP in the state, while garnering High Honorable All American honors. He also signed 2 other High Honorable Mention All Americans in 2B Derek Cartaya and RHP Nick McDonald, both from Broward County. They join some other highly ranked recruits signed by Turtle Thomas in Javier Valdes and Giovon Soto, both teammates from Gulliver School and both also Honorable Mention All American. What happened with Garrett? He made the Cape Cod all star team and lists FIU as his school. He is transferring to Tennessee. Wrong UT. Tampa, not Tennessee. Today, yet another highly ranked Class of 2017 player committed to FIU. 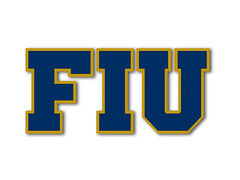 Everett Hurst, a 5-10/165 RHP from Sebring, FL committed to FIU. He plays his travel club with the team that new FIU assistant coach Jered Goodwin used to coach, FTB Tucci. He is ranked Top 100 in the state by at least a couple of recruiting services, #77 by prepbaseballreport.com. He joins fellow FIU commitment and FTB Tucci teammate Logan Allen as 2nd Team All Americans designation by Perfect Game. Another top recruit choosing FIU for next year's class. Please recruit players that can field. Turtle's team was hard to watch. Two more highly ranked players just committed to FIU. The third Perfect Game 1st Team All American has commited to FIU: Johnathan Rodriguez, a 6-3/180 outfield from Carlos Beltran Baseball Academy in Toa Baja, Puerto Rico also gave FIU the commitment. He becomes FIU's third Perfect Game 1st Team All American of Class of 2017 to commit to FIU. Another highly ranked outfield player from Puerto Rico, Heliot Ramos, also committed to FIU. Ramos is a Perfect Game High Honorable Mention All American. Yet another high school American, Andrew Fernandez, a 1B and 3B from Archbishop McCarthy HS in Broward also committed to FIU. Fernandez is a Perfect Game Honorable Mention All American. All 8 commitments so far are Perfect Game High School All Americans. Very, very strong recruiting. In essence, FIU is now ranked #13 in the nation with only 8 commits, 5 of them in the nation's Top 100, which is tied for 3rd in the nation with LSU, TCU, Miami and FSU. Only Florida with 8 players in the Top 100 and USC, with 6 Top 100 players have more than FIU. But Florida currently has 18 commitments to FIU's 8, while USC has 12 commitments so far. So, we have the #2, the #4 and #13 rated players from Puerto Rico already committing to FIU. We have 5 "Top 100" Perfect Game rated players in the nation in the fold, already out of our 8 (ALL of them Perfect Game All Americans) commitments. We are currently ranked #13 recruiting wise in the nation, but since we only have 8 commitment so far, our average rating per commit makes FIU as #1 in the nation at the moment. Impressive. I know that most likely we won't see many of these kids ever play for FIU, but the fact of the matter is that the name "FIU" is being talked about, written, twitted, etc., in the highest recruiting circles of the nation. If we keep this up, even if just a couple of these high end recruits end up at FIU, it will presumably boost our program. Way to go, Coach Melendez and Keep it Up! Coach Melendez keeps racking up All American recruits for the 2017 Class. Couple of days ago it was two left handed pitchers in Michael Perez and Elija Gill. Gill is a 6-1/185 LHP from Providence Christian HS in Jacksonville, who is rated as a PG 3rd Team All American player for 2017. Michael Perez, a 6-4 LHP from Conrad Academy in Orlando, is tabbed as a pre season Perfect Game Honorable Mention All American. Now today, we have, as it appears in Perfect Game's database, two new commitments. Yet another top player from Puerto Rico, OF/LHP Gabriel Fernandez, has committed to FIU. He is the rated as the 7th top prospect in all of Puerto Rico (we have now committed to FIU from this class the #2, #4, #7, and #13 players from Puerto Rico) and the 4th FIU commit listed as 1st Team All American (joining MJ Melendez, Oraj Anu, and Johnathan Rodriguez). We also have on that list another Fernandez kid from Archbishop McCarthy in Broward, 6-3/195 OF Adan Fernandez, as committed to FIU. He is listed at Perfect Game as a High Honorable Mention All American player. All 12 high school commitments so far are listed as Perfect Game's All Americans. With these commitments, once they are added up to rankings, I expect FIU's ranking to go up from #13 (with 9 commits) to anywhere from #5 to #9 in the nation. Wow this is getting very impressive. If most of these guys make it to FIU it would be really exciting. FIU's 2017 recruiting class is currently #7 with the latest recruits. I had no idea Coach Melendez had this kind of pull/influence with so many high school kids. Keep it up coach! Impressive class! Best part about Coach Melendez is that he can coach fundamentals. I'm not that excited about all this. If these kids are that good, they're likely turning pro, especially if they're poor. Money usually trumps education in those cases. Let's not forget that Turtle could also "recruit" well according to Perfect Game and the other experts. Didn't make much of a difference long-term because most of those kids never showed up to FIU. I suspect the difference with Melendez is that he'll be a much better leader. From what I understand, Turtle's teams had a habit of tuning him out as the year went along. That and he didn't work that hard on fundamentals, which I'd be surprised if that's the case with Melendez based on his prior gigs. I'm not all that concerned with who MM gets or in winning the off-season recruiting wars. We won those with Turtle. I'd like to see them win actual games now. FIU gets plenty of talent. Always has, even when Price was there. It's making it work on the diamond that's the tough part. That's where MM has to earn his money. All of that is one opinion prevalent which I respect and understand, but don't share nor agree. Point is, some or most of these kids won't ever play for FIU, I agree. Anybody who follows college baseball fairly close knows this. However, what this does is to keep the FIU brand name out there and creates a buzz never seen around FIU baseball in recruiting circles where, even though FIU has, as you well point out, done good recruiting wise before (especially under Turtle) at this early stage. We've never had this amount of high level Top 100 talent in one class. Ever. In fact, the 5 Top 100 kids we have committed to FIU for 2017 is two and a half times more than the total amount of Top 100 kids Turtle signed during his whole career at FIU (5 to 2). What this translates into wins and losses in 2017-2020? Maybe not much, maybe some, maybe a lot. We've never ended up Top 10, though we've been Top 25 a couple of times under Turtle and even #17 once (2013). It also shows Melendez, at the very least, can recruit better at FIU than at Alabama State and Bethune, as most would expect. We all know he's been successful in terms of wins at losses at Bethune and Alabama State, particularly taking into consideration where both programs were before he took over and where he left both of those programs when he left. And we know that a big part of that is because he raised the level of recruits coming into those programs, particularly bringing in some talented kids from Puerto Rico. In that context, getting a Top 5-7 recruiting class in the nation, even if most of these "early recruiting" kids don't ever play, is something to feel positive about. It's his first "tangible" results from his FIU era, and it's obvious he's done very, very good so far. That is an exciting beginning. I'll grant you that raising the skill of the recruits coming in does better the program... but ONLY IF those kids actually show up and perform to expectations. Perhaps I'm looking at this a bit jaded... but, ultimately, what matters is just two things. Beyond that... it's all opinion and conjecture. Your putting "tangible" in quotes acknowledges that much, which I appreciate coming from you. I know you take a lot of stock in this stuff and it's good to see that you do recognize the limitations. That's the biggest reason why I've never cared for the recruiting rankings in general. It's made by people who, by and large, have NO CLUE how coaches run their programs and NO IDEA how the new kids will react to being there. And even if they did, it's all just a projection. We're talking about teenagers. No one can predict what they'll do. Also... having met a lot of these types of people when I worked at SiriusXM... too many of them are hucksters who don't do the leg work. They may watch games and maybe some of them played the game, but even for those who do... it's HARD to keep track of thousands of high school kids, even in this day and age. That's a full-time job just in itself. Hell, more than a full-time job. Assuming they even analyze the kids properly on the field... they often don't know the behind-the-scenes stuff (personality, character, work ethic, family, etc) that is just as critical (if not more so) to determining success. I'll grant that Perfect Game is pretty good... I used to book Kendall Rogers all the time when I was at SiriusXM... he's good people and VERY knowledgeable about the game. His rankings, I'll trust more than most. But even Kendall isn't going to know everything and he's one of the best out there (if not the best) in college baseball. Recruiting is such an inexact science. It's very subjective. It's all about the coach and his getting players he can work with and improve. Not every coach can improve a kid or even reach a kid. What I like about Melendez is that he seems to be able to find kids he can work with and improve them as the years go along. That's a FAR more valuable skill than being in the Top 10 of someone's recruiting ranking. Hopefully, he gets all these kids to come... but it's like you said... history shows it's not likely to happen. When it comes down to it... give me the coach who makes what he has better instead of the guy who "recruits" high-level talent but can't get them to enroll. One of those makes your program better. The other really doesn't. Turtle generated plenty of recruiting "buzz" when he was here. He also generated 4 seasons of sub-.500 ball. There's a reason his contract wasn't renewed.